Flower pots - LIVING AND CO.
Beautiful Bloomingville flower pot made of grjjs concrete with black metal base. This Bloomingville flowerpot has a diameter of 23 cm and a height of 65 cm. 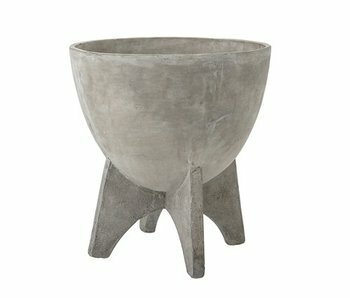 Beautiful Bloomingville flower pot made of grjjs concrete with black metal base. This Bloomingville flowerpot has a diameter of 23 cm and a height of 50 cm. Beautiful Bloomingville plant hanger made of brown concrete. 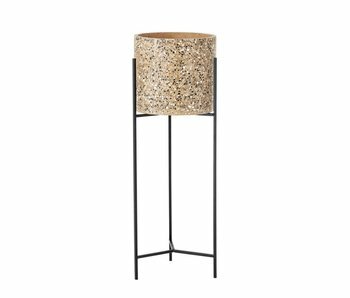 This Bloomingville plant hanger has a length of 110 cm and a diameter of 30 cm. Beautiful Bloomingville hanging flowerpot made from grjjs concrete. This Bloomingville flowerpot has a diameter of 15 cm and a height of 13 cm. Beautiful Bloomingville flowerpot made from grjjs concrete. This Bloomingville flowerpot has a diameter of 43 cm and a height of 45 cm. Beautiful Bloomingville flowerpot made from grjjs concrete. This Bloomingville flowerpot has a diameter of 42 cm and a height of 35 cm. Beautiful Bloomingville flowerpot made of terrazzo. This Bloomingville flower pot has a length of 40 cm and is 16 cm wide. The height of the flowerpot is 20 cm. 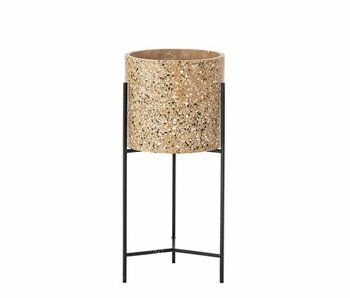 Beautiful Bloomingville flowerpot made of terrazzo. This Bloomingville flowerpot has a length of 30cm and is 12cm wide. The height of the flower pot is 15 cm.